Groom and bride exit ideas for Indian weddings for a WOW Vidai! An amazing wedding is capped off only by an equally amazing wedding send off ✨! Why only enter in style? 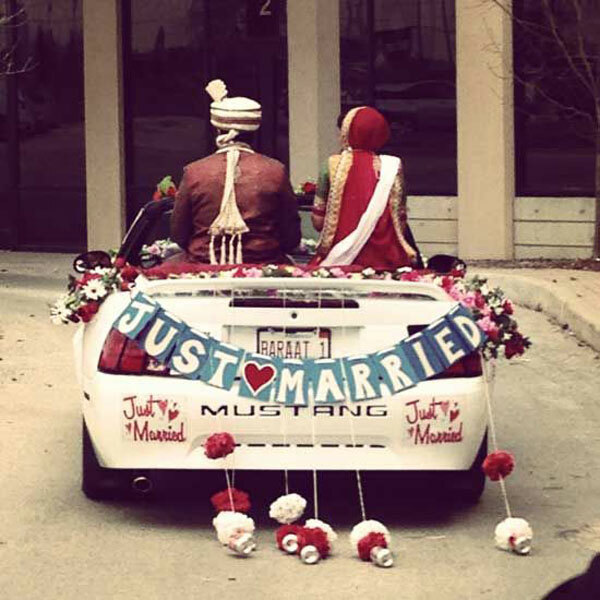 You guys need to also have couple exit ideas with equal swag! *No Pressure* Seriously, no pressure – ‘Coz we’ve got you some of the most fab Groom and Bride exit ideas for Indian Weddings! One of our favourite couple exit trends – A sparkler tunnel by your family and friends. You could go old school with phooljhadi sparklers or fancy with cold pyros & handheld gerbs! The is another destination wedding favourite. Ride off on an ATV with your new better half, the wind in your hair surrounded by each others laugh. Fun couples must look fab at their exit! Love the idea of riding off on a bike together! Who doesn’t love a kitschy colourful rickshaw at weddings! Why waste it as only a photo op – Take the trend up a notch and ride away together on this rocking rickshaw! Psst! Looks even cuter when the bride the bride takes the driver’s seat like Actress Kishwer Merchant did at her wedding! Dance your way out of the wedding! You know what they say, the couple that dances together….gets fab wedding pictures! lol! Don’t you just love this idea! Roar away on a monster truck with enough room to accommodate all your mains in addition to the bride and groom! There, now you and BAE will look radiant and photo ready in your wedding send off with these fab couple exit ideas! Top New Indian Wedding Trends 2017✨ – New wedding trends in India that’ll rule in 2017!